 Chapter 57D - North Carolina Limited Liability Company Act. § 57D-1-02. Governing law; jurisdiction of the superior courts; intent; reservation of power to amend or repeal. § 57D-1-04: Reserved for future codification purposes. § 57D-1-05: Reserved for future codification purposes. § 57D-1-06: Reserved for future codification purposes. § 57D-1-07: Reserved for future codification purposes. § 57D-1-08: Reserved for future codification purposes. § 57D-1-09: Reserved for future codification purposes. § 57D-1-10: Reserved for future codification purposes. § 57D-1-11: Reserved for future codification purposes. § 57D-1-12: Reserved for future codification purposes. § 57D-1-13: Reserved for future codification purposes. § 57D-1-14: Reserved for future codification purposes. § 57D-1-15: Reserved for future codification purposes. § 57D-1-16: Reserved for future codification purposes. § 57D-1-17: Reserved for future codification purposes. § 57D-1-18: Reserved for future codification purposes. § 57D-1-19: Reserved for future codification purposes. § 57D-1-22. Filing, service, and copying fees. § 57D-1-23. Execution by judicial act. § 57D-1-24. Certificate of existence; certificate of authorization. § 57D-1-25: Reserved for future codification purposes. § 57D-1-26: Reserved for future codification purposes. § 57D-1-27: Reserved for future codification purposes. § 57D-1-28: Reserved for future codification purposes. § 57D-1-29: Reserved for future codification purposes. § 57D-1-30. Powers of the Secretary of State. § 57D-1-31. Interrogatories by Secretary of State. § 57D-1-32. Penalties imposed on limited liability companies for failure to answer interrogatories. § 57D-1-33. Information disclosed by interrogatories. Article 2 - Purposes, Powers, Formation, Annual Report, Name, Registered Office, and Agent. § 57D-2-01. Nature, purposes, duration, existence. § 57D-2-02. Professional limited liability companies. § 57D-2-03. Powers of the LLC. § 57D-2-04: Reserved for future codification purposes. § 57D-2-05: Reserved for future codification purposes. § 57D-2-06: Reserved for future codification purposes. § 57D-2-07: Reserved for future codification purposes. § 57D-2-08: Reserved for future codification purposes. § 57D-2-09: Reserved for future codification purposes. § 57D-2-10: Reserved for future codification purposes. § 57D-2-11: Reserved for future codification purposes. § 57D-2-12: Reserved for future codification purposes. § 57D-2-13: Reserved for future codification purposes. § 57D-2-14: Reserved for future codification purposes. § 57D-2-15: Reserved for future codification purposes. § 57D-2-16: Reserved for future codification purposes. § 57D-2-17: Reserved for future codification purposes. § 57D-2-18: Reserved for future codification purposes. § 57D-2-19: Reserved for future codification purposes. § 57D-2-21. Articles of organization. § 57D-2-22. Amendment of articles of organization. § 57D-2-23. Restated articles of organization. § 57D-2-24. Annual report for Secretary of State. § 57D-2-25. Report of veteran-owned small businesses and service-disabled veteran-owned small businesses. § 57D-2-26: Reserved for future codification purposes. § 57D-2-27: Reserved for future codification purposes. § 57D-2-28: Reserved for future codification purposes. § 57D-2-29: Reserved for future codification purposes. § 57D-2-30. Scope, function, and limitations of operating agreements. § 57D-2-31. Parties to, and other persons subject to or having rights under, the operating agreement. § 57D-2-32. Remedies for breach of operating agreement or occurrence of identified events; reliance on operating agreement. § 57D-2-33: Reserved for future codification purposes. § 57D-2-34: Reserved for future codification purposes. § 57D-2-35: Reserved for future codification purposes. § 57D-2-36: Reserved for future codification purposes. § 57D-2-37: Reserved for future codification purposes. § 57D-2-38: Reserved for future codification purposes. § 57D-2-39: Reserved for future codification purposes. § 57D-2-40. Registered office and registered agent. § 57D-2-41: Reserved for future codification purposes. § 57D-2-42: Reserved for future codification purposes. § 57D-2-43: Reserved for future codification purposes. § 57D-2-44: Reserved for future codification purposes. § 57D-2-45: Reserved for future codification purposes. § 57D-2-46: Reserved for future codification purposes. § 57D-2-47: Reserved for future codification purposes. § 57D-2-48: Reserved for future codification purposes. § 57D-2-49: Reserved for future codification purposes. Article 3 - Membership and Management. § 57D-3-01. Admission of members; economic interest owners. § 57D-3-02. Cessation of membership. § 57D-3-03. Approval of members. § 57D-3-05: Reserved for future codification purposes. § 57D-3-06: Reserved for future codification purposes. § 57D-3-07: Reserved for future codification purposes. § 57D-3-08: Reserved for future codification purposes. § 57D-3-09: Reserved for future codification purposes. § 57D-3-10: Reserved for future codification purposes. § 57D-3-11: Reserved for future codification purposes. § 57D-3-12: Reserved for future codification purposes. § 57D-3-13: Reserved for future codification purposes. § 57D-3-14: Reserved for future codification purposes. § 57D-3-15: Reserved for future codification purposes. § 57D-3-16: Reserved for future codification purposes. § 57D-3-17: Reserved for future codification purposes. § 57D-3-18: Reserved for future codification purposes. § 57D-3-19: Reserved for future codification purposes. § 57D-3-21. Duties of company officials; standards of conduct. § 57D-3-22. Delegation of authority of managers and other company officials. § 57D-3-23. Application to company officials. § 57D-3-24: Reserved for future codification purposes. § 57D-3-25: Reserved for future codification purposes. § 57D-3-26: Reserved for future codification purposes. § 57D-3-27: Reserved for future codification purposes. § 57D-3-28: Reserved for future codification purposes. § 57D-3-29: Reserved for future codification purposes. § 57D-3-30. Liability of members, managers, and other company officials to third parties. Article 4 - Contributions and Distributions. § 57D-4-01. Form of contributions. § 57D-4-02. Liability for contributions. § 57D-4-04. Distribution in kind. § 57D-4-05. Restrictions on making distributions. § 57D-4-06. Liability for wrongful distributions. § 57D-4-07. Right to distribution. Article 5 - Transfer of Ownership Interests; Withdrawal. § 57D-5-01. Nature of ownership interest. § 57D-5-02. Transfer of economic interests. § 57D-5-03. Rights of judgment creditor. § 57D-5-04. Certain rights and liabilities of economic interest owners and transferors of ownership interests. § 57D-5-05. No right to voluntarily withdraw capital or terminate obligations. § 57D-6-02. Grounds for judicial dissolution. § 57D-6-03. Procedure for judicial dissolution. § 57D-6-05. Decree of judicial dissolution. § 57D-6-08. Marshaling of assets. § 57D-6-09. Articles of dissolution. § 57D-6-10. Known claims against dissolved LLC. § 57D-6-11. Unknown and certain other claims against dissolved LLC. § 57D-6-12. Enforcement of claims. § 57D-6-13. Court proceedings for contingent claims. Article 7 - Foreign LLCs. § 57D-7-01. Authority to transact business. § 57D-7-02. Consequences of transacting business without authority. § 57D-7-03. Application for certificate of authority. § 57D-7-04. Amended certificate of authority. § 57D-7-05. Effect of certificate of authority. § 57D-7-06. Registered office and registered agent of foreign LLC. § 57D-7-07: Reserved for future codification purposes. § 57D-7-08: Reserved for future codification purposes. § 57D-7-09: Reserved for future codification purposes. § 57D-7-10: Reserved for future codification purposes. § 57D-7-11: Reserved for future codification purposes. § 57D-7-12: Reserved for future codification purposes. § 57D-7-13: Reserved for future codification purposes. § 57D-7-14: Reserved for future codification purposes. § 57D-7-15: Reserved for future codification purposes. § 57D-7-16: Reserved for future codification purposes. § 57D-7-17: Reserved for future codification purposes. § 57D-7-18: Reserved for future codification purposes. § 57D-7-19: Reserved for future codification purposes. § 57D-7-20. Withdrawal of foreign LLC. § 57D-7-21. Withdrawal of foreign LLC by reason of a merger, consolidation, or conversion; qualification of successor. § 57D-7-22. Authority of Attorney General. § 57D-7-23: Reserved for future codification purposes. § 57D-7-24: Reserved for future codification purposes. § 57D-7-25: Reserved for future codification purposes. § 57D-7-26: Reserved for future codification purposes. § 57D-7-27: Reserved for future codification purposes. § 57D-7-28: Reserved for future codification purposes. § 57D-7-29: Reserved for future codification purposes. § 57D-7-30. Grounds for revocation. § 57D-7-31. Procedure for and effect of revocation. § 57D-7-32. Appeal from revocation. § 57D-7-33. Inapplicability of Administrative Procedure Act. Article 8 - Derivative Actions. § 57D-8-01. Member derivative actions. § 57D-8-02. Stay of proceedings. § 57D-8-04. Discontinuance or settlement. § 57D-8-05. Payment of expenses. § 57D-8-06. Applicability to foreign LLCs. Article 9 - Conversion and Merger. § 57D-9-02: Reserved for future codification purposes. § 57D-9-03: Reserved for future codification purposes. § 57D-9-04: Reserved for future codification purposes. § 57D-9-05: Reserved for future codification purposes. § 57D-9-06: Reserved for future codification purposes. § 57D-9-07: Reserved for future codification purposes. § 57D-9-08: Reserved for future codification purposes. § 57D-9-09: Reserved for future codification purposes. § 57D-9-10: Reserved for future codification purposes. § 57D-9-11: Reserved for future codification purposes. § 57D-9-12: Reserved for future codification purposes. § 57D-9-13: Reserved for future codification purposes. § 57D-9-14: Reserved for future codification purposes. § 57D-9-15: Reserved for future codification purposes. § 57D-9-16: Reserved for future codification purposes. § 57D-9-17: Reserved for future codification purposes. § 57D-9-18: Reserved for future codification purposes. § 57D-9-19: Reserved for future codification purposes. § 57D-9-21. Plan of conversion. § 57D-9-22. Filing of articles of organization and conversion by the converting entity. § 57D-9-23. Effective date; effects of conversion. § 57D-9-24: Reserved for future codification purposes. § 57D-9-25: Reserved for future codification purposes. § 57D-9-26: Reserved for future codification purposes. § 57D-9-27: Reserved for future codification purposes. § 57D-9-28: Reserved for future codification purposes. § 57D-9-29: Reserved for future codification purposes. § 57D-9-31. Plan of conversion. § 57D-9-32. Articles of conversion. § 57D-9-33. Effects of conversion. § 57D-9-34: Reserved for future codification purposes. § 57D-9-35: Reserved for future codification purposes. § 57D-9-36: Reserved for future codification purposes. § 57D-9-37: Reserved for future codification purposes. § 57D-9-38: Reserved for future codification purposes. § 57D-9-39: Reserved for future codification purposes. § 57D-9-41. Plan of merger. § 57D-9-42. Articles of merger. § 57D-9-43. Effects of merger. § 57D-9-44: Reserved for future codification purposes. § 57D-9-45: Reserved for future codification purposes. § 57D-9-46: Reserved for future codification purposes. § 57D-9-47: Reserved for future codification purposes. § 57D-9-48: Reserved for future codification purposes. § 57D-9-49: Reserved for future codification purposes. § 57D-10-01. Purpose; public policy. § 57D-10-02. Rules of construction; coordination with other law. § 57D-10-03: Reserved for future codification purposes. § 57D-10-04: Reserved for future codification purposes. § 57D-10-05: Reserved for future codification purposes. § 57D-10-06: Reserved for future codification purposes. § 57D-10-07: Reserved for future codification purposes. § 57D-10-08: Reserved for future codification purposes. § 57D-10-09: Reserved for future codification purposes. Article 11 - Transition Provisions. § 57D-11-01. Applicability of act. § 57D-11-02. Application to qualified foreign LLCs.